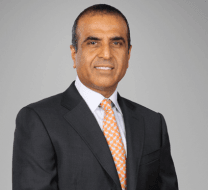 Sunil Bharti Mittal, Chairman, Bharti Enterprises, will take a voluntary cut of Rs 5 crores from his annual salary to support ‘Nyaya Bharti’ initiative that would provide financial and legal assistance to the underprivileged languishing in jails across the country for minor offences. Bharti Airtel, the telecom arm of Bharti Enterprises, will contribute Rs 10 crores annually on an ongoing basis towards the initiative. Nyaya Bharti will be ready to start functioning in the coming months and ensure that the Board, screening committee and the team of young lawyers are all in place to start giving its first grant from April 1, 2016. The Nyaya Bharti initiative will work under the aegis of Bharti Foundation, the philanthropic arm of Bharti Enterprises, and will focus on Delhi and NCR and Punjab initially. Its governing board will be headquartered in New Delhi and will be headed by Justice AS Anand, Retired Chief Justice of India. Recently, Prime Minister Narendra Modi has also stressed on the importance of ‘access to justice for all’, as well as the need for free legal aid and assistance to people. Nyaya Bharti will help the undertrials by paying the bail and surety amounts and it would be solely focused on District Courts where criminal cases are initiated. It is estimated that there are over 280,000 undertrials in about 1,387 jails in India, constituting nearly 68% of the total prisoner population, which is amongst the world’s 10 worst. Law firm AZB & Partners and EY will also provide pro-bono legal, administrative and governance support, respectively. Mittal ji thoda sa donation Amygdala ko bhi kar dijiye bechara pani puri bechte bechte thak gaya hain aur apka bohat bara fan hain aap usko mobile fan baneka rakh sakte ho bina bijli ke hawa de sakta hain apke watchman ko. Its better to establish Hardware & Chip Manufacturing Companies and rural development . It creates more employment and it indirectly reduce crimes. There are many many factories in Mumbai & Chennai, but crime too is more.